Hey y’all – today I’m sharing this slip dress tutorial. This actually isn’t a new tutorial at all – I just remade an old one in a new fabric, with minor alterations. This is actually the pattern from my Bias Sundress. To make this look, I switched from quilting cotton to silk. This beautiful border print is one I picked up at a local shop that (sadly) went out of business. As you can see below, I altered the neckline – instead of cutting it in a V like the original dress I rounded it off so I could just sew one continuous piece of bias tape without messing with the V.
I omitted the waist drawstring since this fabric drapes so nicely – it’s the perfect thing to slip on for a hot summer day. I also cut the fabric for a slight high low hem. And that’s it! See this post for the complete original instructions and the free pattern. Don’t forget to enter this week’s giveaway – TWO lucky people are going to win Blank Slate Patterns. Go here to enter. Join in the fun! 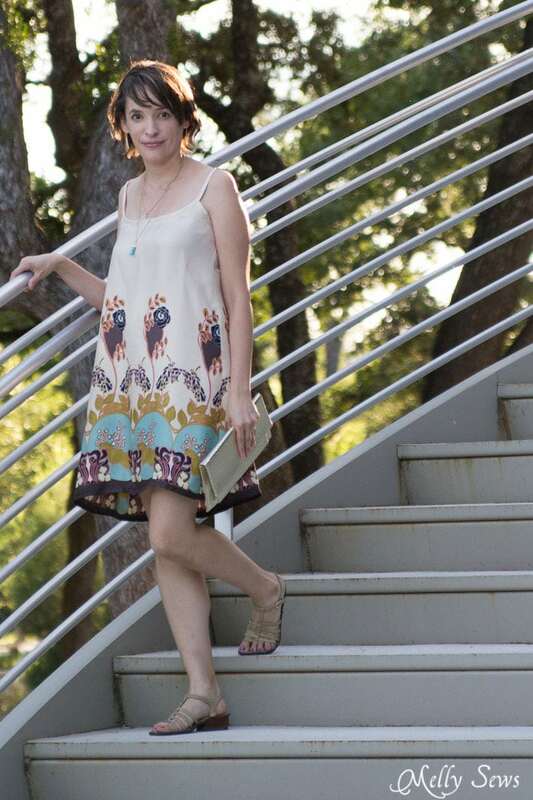 Share your handmade sundress goodness on Instagram (and please follow me! 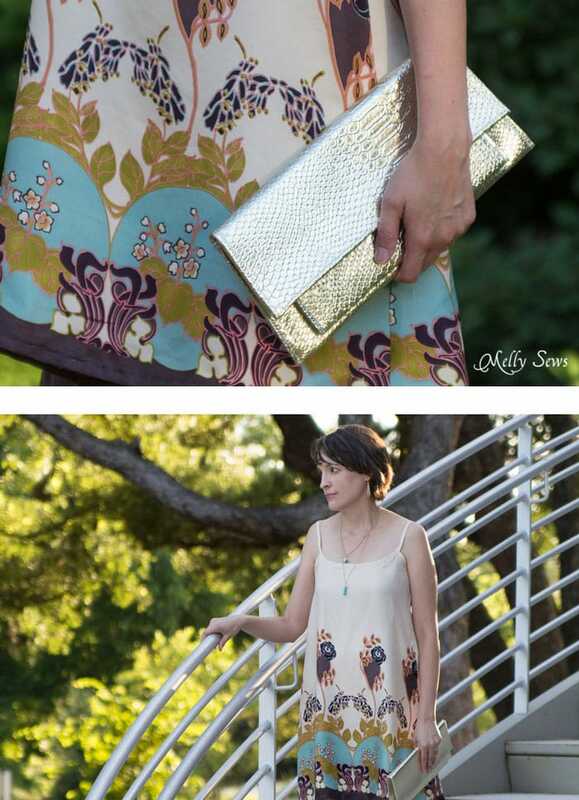 @mellysews) using the #30DaysOfSundresses hashtag. And in case you’ve missed any of the posts so far, you can click on any picture below to go to the post. I adore the simplicity of the Summer Slip Dress and how classy it looks in the silk border fabric. Thank you for sharing this with us, I am so looking forward to making this next ??? ?